Identification: Tailless. 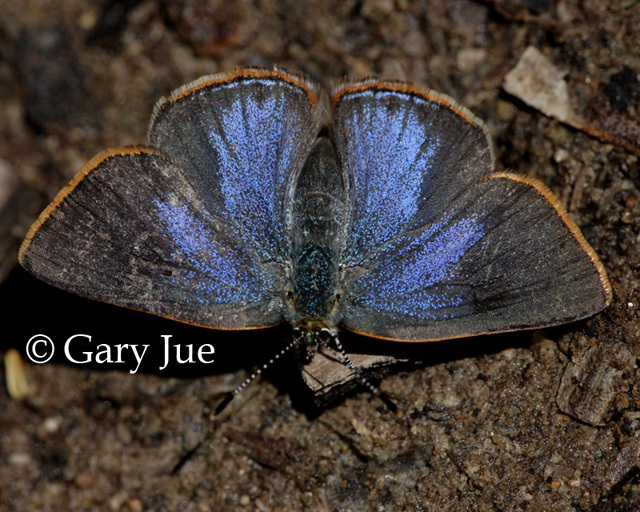 Upperside of male dark brown; female with iridescent blue patch on each wing. Underside pale green with rows of short copper dashes. Flight: One brood from June-July. Caterpillar Hosts: Possibly oaks (Quercus species). Habitat: Mountain trails and roadsides, forest openings. Range: Southern Utah, Arizona, New Mexico, Mexico. 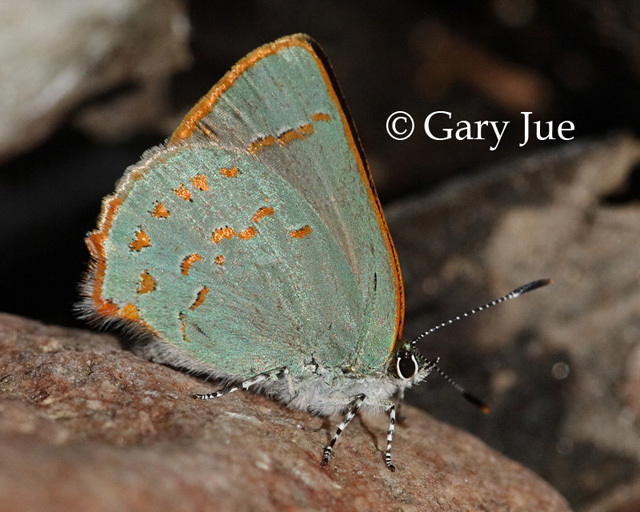 Conservation: Common in several Southwest ranges. Conservation is not thought necessary.